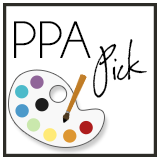 Scrapbooking, Rubber Stamping, Punch Art, Crafts, Etc. Welcome to the April Blog Hop. 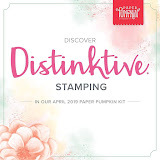 Once again I am participating in a hop with fellow Stampin' Up! demonstrators from all over the United States, Canada, United Kingdom and Australia! You might be starting the blog hop right now, or you maybe coming from Darla Roberts' blog. Welcome one and all. 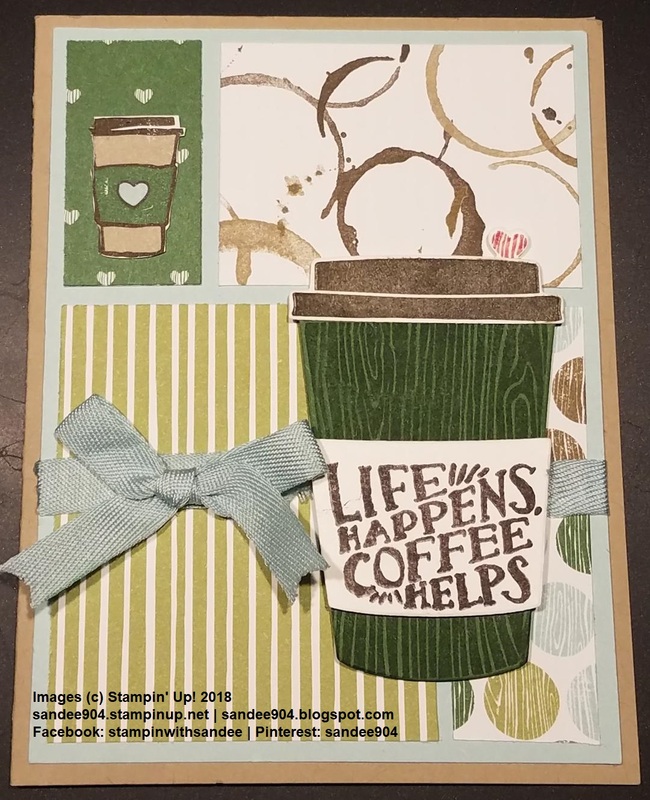 The theme for our blog this month is to create a card or project using Coffee Break Designer Series Paper. 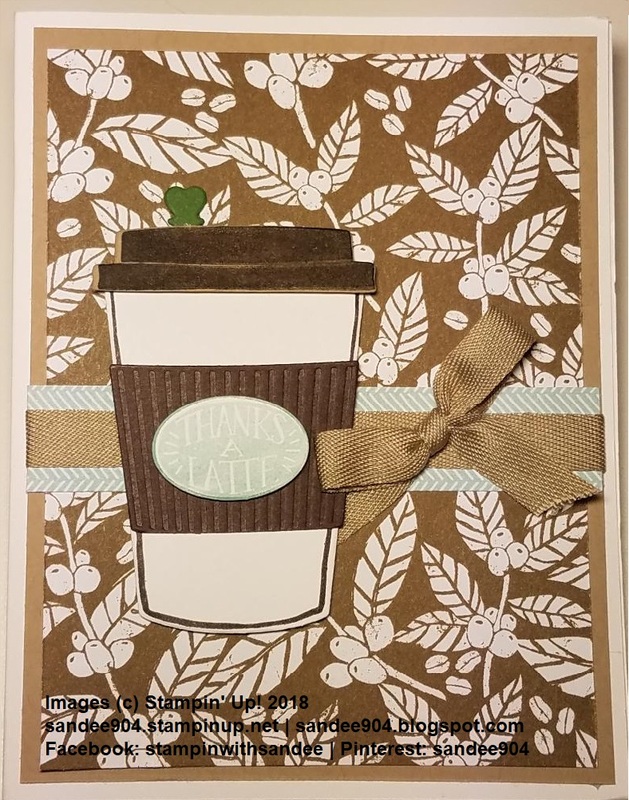 Several months ago, I featured this card using the Coffee Cafe' Bundle and Coffee Break Designer Series Paper at a workshop. Actually it is a pretty simple card. The stamp sets and die cuts really do take all the work out of card making. Add a bow with the beautiful ribbon and done! For some reason I never got around to breaking down my extra card packets and putting away all the supplies. This blog hop card is going to show you how simple it is to take those already cut card packets and pieces to make a new card! 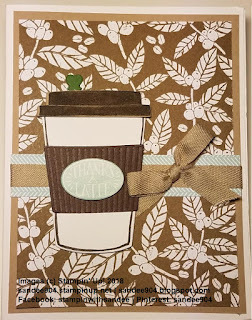 Full directions will be in a follow-up blog post tomorrow in order to keep this blog hop short, but by simply taking off 1/8" along both the short and long sides of the Coffee Break DSP piece and making 2 cuts to divide the DSP piece into 4 different shapes, this card has a totally new look! Leave a comment below with a trail to find you. I would be interested in seeing your creations. Thank you for stopping by my blog today! Make sure you keep hopping along to see all the other great cards and projects. Click on the "Next" button below to visit Melanie Coverston's blog. Visit Sandy's profile on Pinterest.